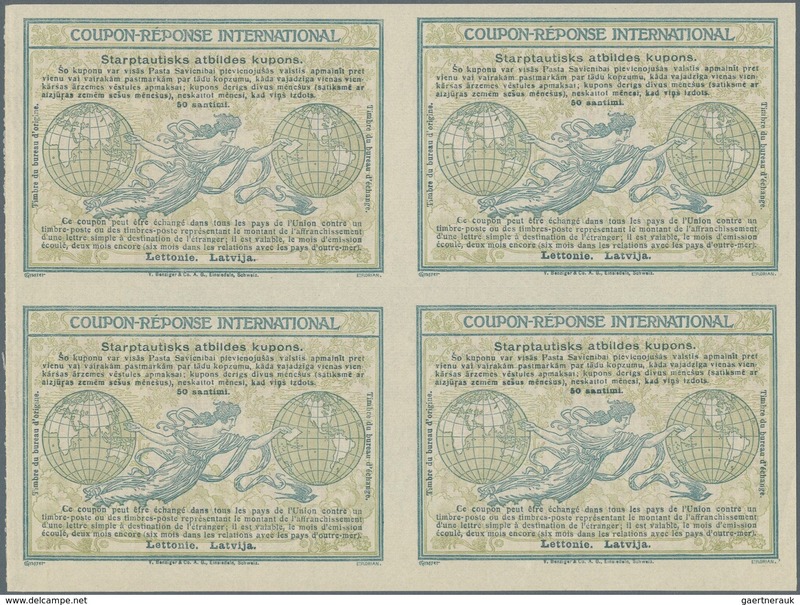 Design "Madrid" 1920 International Reply Coupon as block of four 50 santimi Latvija. 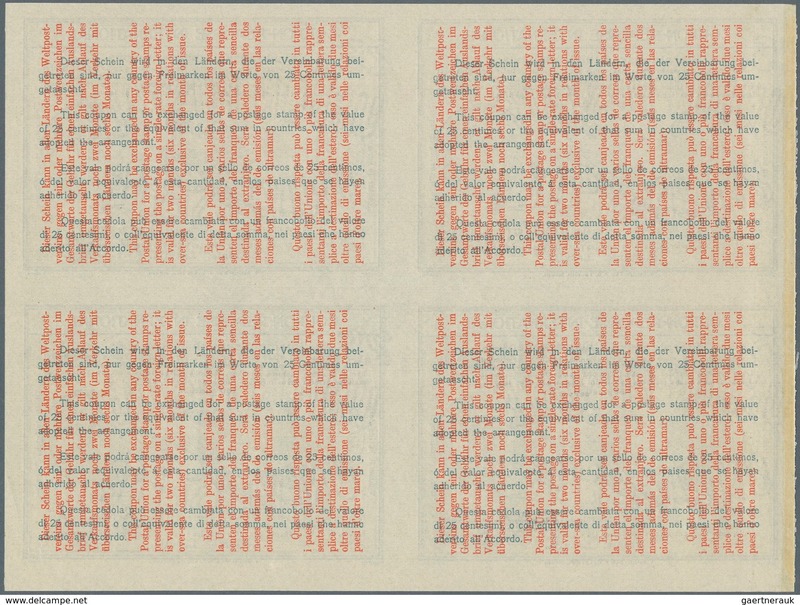 Backside with red overprint in 4 languages. This block of International Reply Coupons belongs to the scarcest postal stationery and is a key item of any exhibition collection. The importance and real value is still very much underestimated - highlight of every postal stationery or country collection. This offer comes from the collection king fuad - this block of four is probably unique in private hands.